In this episode, we take a deep dive into the many uses and cultural significance of agave plants in pre-Hispanic culture. Dave explains why this historical context is important to know when talking about Mezcal today. 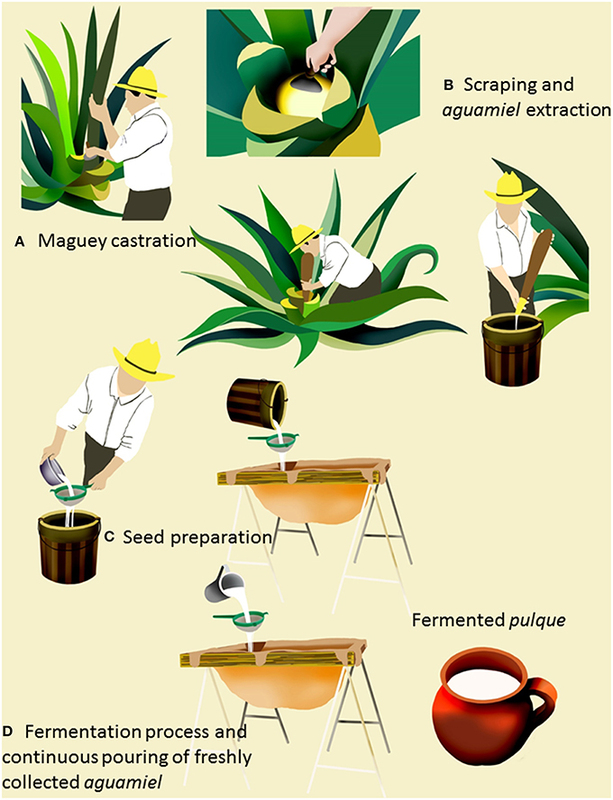 We also discuss two pre-Hispanic beverages: Aguamiel and Pulque (both of which are still harvested and made today!). Dave Lather is one of the strongest advocates of artisanal mezcal and Latin American Culture that we know. Dave is the North East Market Manager for 3 Badge Beverage Corp. He studied history and archaeology at the University of Maryland before getting into the spirits industry. He has a deep interest in pre-hispanic history and culture and is currently studying the indigenous language, Zapoteco. 10-11. Sewing tools, traditional Charro embroidery using agave fibers.